The $10 million Ansari XPRIZE was designed to lower the risk and cost of going to space by incentivizing the creation of a reliable, reusable, privately financed, manned spaceship that finally made private space travel commercially viable. 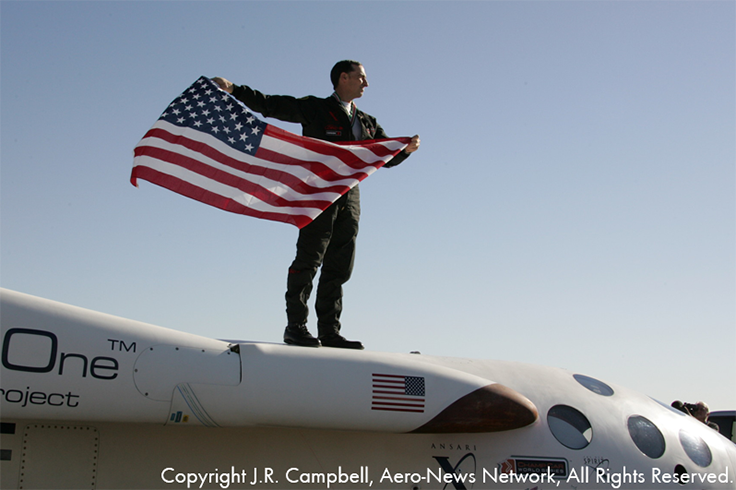 On October 4, 2004, XPRIZE captured the world's attention by awarding the $10 million Ansari XPRIZE—the largest prize in history—to Mojave Aerospace Ventures for their SpaceShipOne. Led by famed aerospace designer Burt Rutan and his company Scaled Composites, with financial backing from Paul Allen, the team's winning technology was licensed by Richard Branson to create Virgin Galactic. With the awarding of this competition, a brand-new $2 billion private space industry was launched. Before the Ansari XPRIZE, space flight was the exclusive purview of government. The possibility of space tourism was considered too dangerous and too expensive for the general public and space exploration for the private sector was neither possible nor affordable.